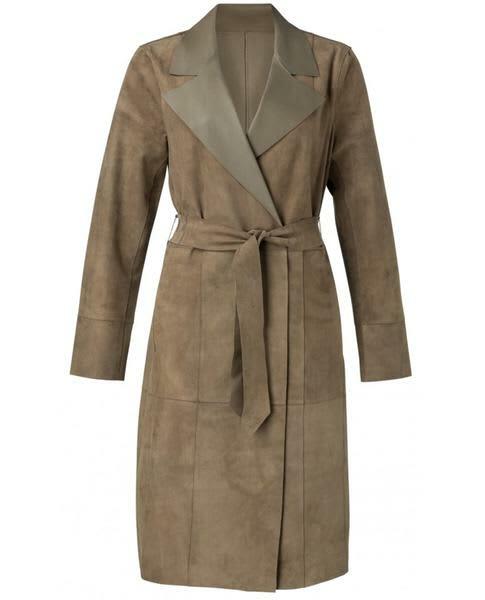 Yaya Reversible Leather Sand Jacket, completely reversible this coat is suede ion one side and leather on the reverse. The waist belt can be removed and there are even practical pockets. A super soft buttery textured coat that will add a touch of luxury to your wardrobe. Generous in size.